the second complimentary movie this year. 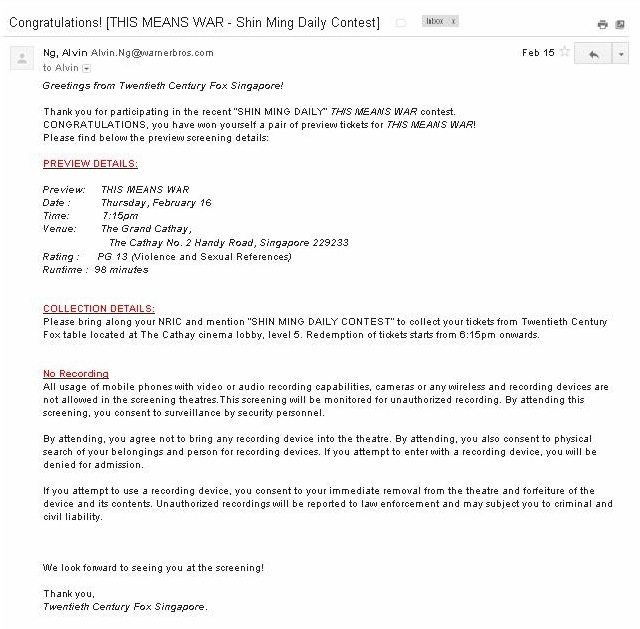 This time round, a big thank you to both Shin Min Daily and Twentieth Century Fox Singapore for the pair of preview tickets. Posters of the movie have been spotted at bus stops early-February. Unfortunately, my knowledge of Hollywood is so poor to the extent that I do not recognize who the poster boys and girl are until I saw their names on the poster itself. 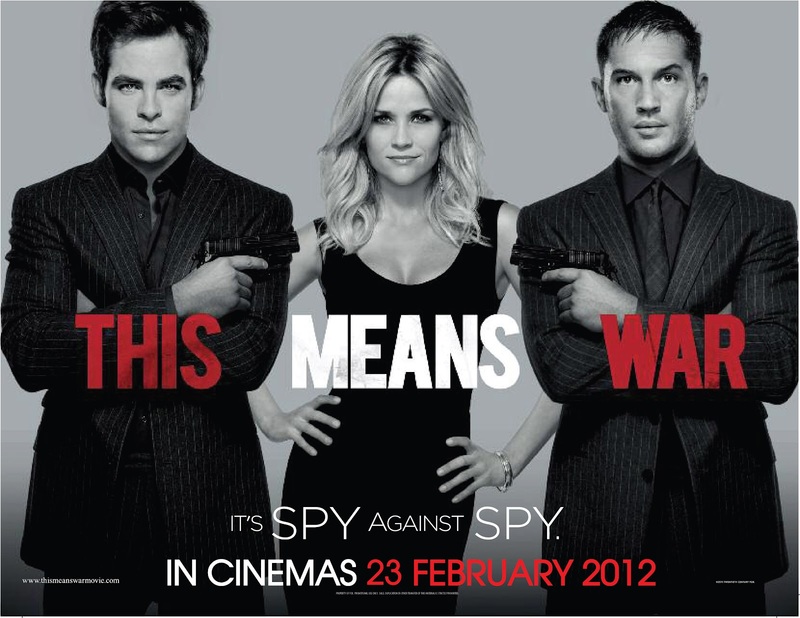 Preview screening of This Means War took place at the Grand Cathay. I love how spacious the theater and the seats are. The Hardy Boys – in the names of FDR & Tuck! Where is Nancy Drew? This was the first scene, where the two agents were on a mission in Hong Kong and kinda screwed up their task. Eureka! 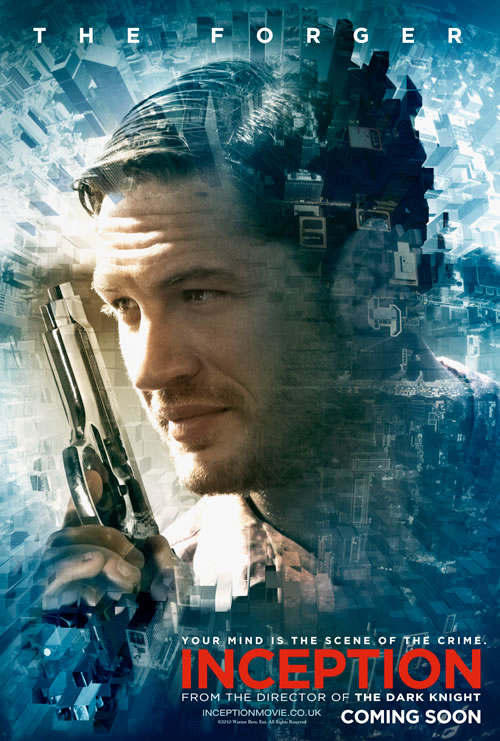 Tuck, Tom Hardy was the actor who starred as Eames in Inception! Realizing it only like now can be embarrassing. Well, in this film, Chris Pine is the one with looks while Tom Hardy has the charm. Fair enough. All spy gadgets employed by CIA agents were employed and round the clock surveillance were carried out by other agents who were bluffed into thinking that this was some highly confidential mission. From the above and throughout the movie, bits and pieces of hints could be pick up as to who Lauren will choose. To be frank, the plot is too common and thus weak, which probably explains the low ratings given by reviewers. However, from the sound created within the theater on a Thursday, it was understood that the audience were highly entertained. So, I’ll round up by saying that this is a flick for those who intend to watch a movie that does not require much brain work and does not mind dirty jokes. The happy (or rather, not-so-happy) ending makes me wonder why wasn’t it launched earlier, for the sake of Valentine’s Day?